Item Number: 110-9-02 18542 Actual Weight: 1.5 lbs. High-clarity film guards windows, mirrors, and other surfaces from scratches and paint overspray. 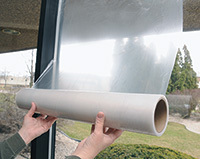 Self-adhesive film provides 60 days of protection. 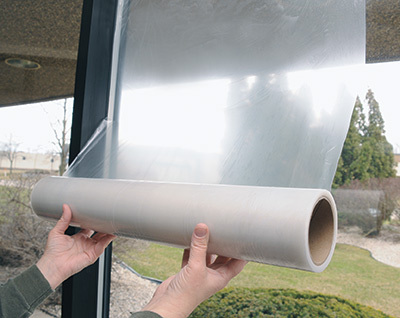 Film can also be adhered to vinyl, plastics, and metal. Removes cleanly and easily and leaves no residue behind. Can be used indoors and outdoors.